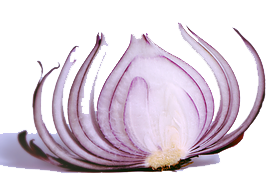 Dealing with major change in the workplace is very much like peeling the proverbial onion. Just when you’ve managed to turn back one layer, another one presents itself. That was the case recently, as we introduced a new, online platform for delivering training. We anticipated some of the impacts of change on our customers but ran into a few unknowns inside the organization, where the change started. The journey: You’re in management at a company that has been honing its expertise and services for decades, using a business model and methodology that has served you well. Now, a new technology trend in your industry almost demands that you make big changes to the way you do business if you want to stay competitive. You decide to dive in, and boy is it exciting at first. But then, things get a little painful.